What Fruits or Vegetables Are Good for the Teeth? What Things Not to Eat if You Have Sensitive Teeth? Whether you feel a twinge of discomfort when you crunch down on ice or excruciating pain after a sip of hot coffee, you have sensitive teeth. Teeth become sensitive when a nerve is exposed -- because a tooth is cracked, because enamel has worn away or because the gums have receded, exposing nerves. Certain foods can aggravate tooth sensitivity. Your dentist can design a treatment plan to help. Hot liquids such as soup, coffee and tea can cause pain if you have sensitive teeth. Likewise, very cold foods such as ice cream and iced drinks may be painful. If you can't or don't want to avoid these things, you can try sipping them through a straw to minimize contact with your teeth. 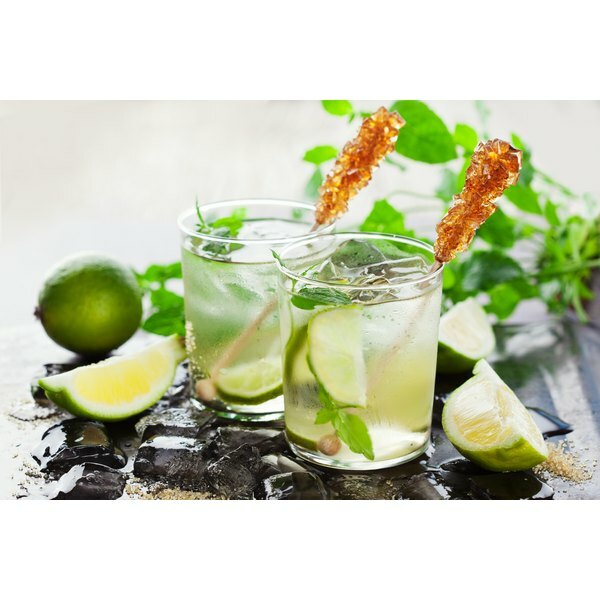 Acidic foods such as lemons, lemonade and limeade, soft drinks and vinegary pickles can wear away tooth enamel and contribute to tooth sensitivity. Avoid these foods if you have sensitive teeth, since they could make the problem worse. Acid from gastric reflux can also cause sensitivity. If you suffer from gastric reflux, avoid foods that aggravate your reflux. Eating very hard foods can crack teeth and lead to sensitivity, or aggravate the problem in already sensitive teeth. Don't crunch down on hard candy and avoid eating ice. Not only can the cold cause pain, but the ice itself can crack teeth. Very sticky foods such as caramel can also cause pain with sensitive teeth. Your dentist can examine your teeth and help determine the cause of the problem. If your gums have receded, you'll need treatment for gum disease. Your dentist can repair cracked teeth. If acidic food in your diet is wearing away the enamel, you'll need to change your eating habits. Using toothpaste made for sensitive teeth, along with a soft-bristled toothbrush, can help reduce sensitivity. Your dentist may also prescribe a fluoride rinse. Fluoride helps build up tooth enamel and could eliminate sensitivity. You may need to see your doctor if you have a medical problem such as gastric reflux or bulimia, which can wear away the enamel on your teeth and cause problems.